Our vineyard is situated on top of Wolf Mountain at an 1,800 foot elevation, presenting a truly unique viticultural site. This mountain top estate was selected after an extensive search, focused on finding the best site in which red wine grapes could be grown, instead of looking at the number of vines we could plant. 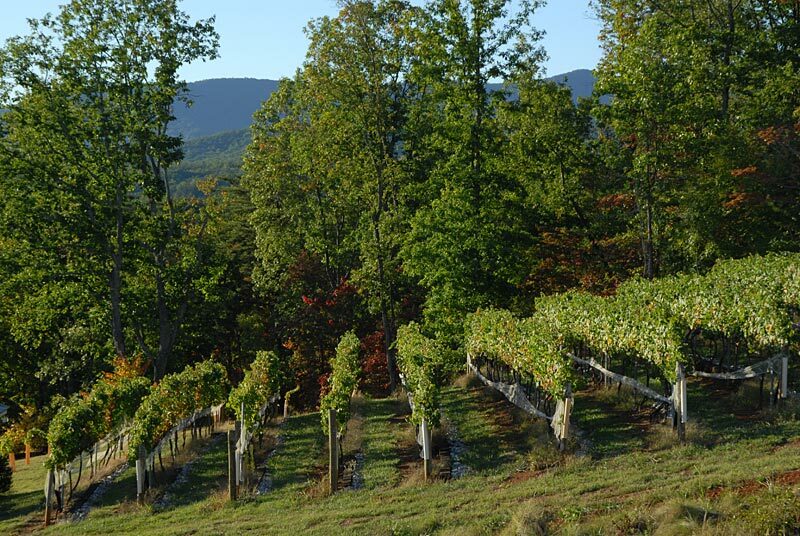 Wolf Mountain has 10,000 vines planted by hand which are divided into small vineyard lots. The property runs due east to west with south facing slopes. This maximizes sun exposure to vines and clusters, producing the ripest fruit possible. Our 1,800 foot elevation provides sun soaked days and cool mountain nights, creating the perfect grape growing environment. After all, wine is really made in the vineyard. We grow Cabernet Sauvignon, Syrah, Mourvedre, Tannat, Petite Verdot, Malbec and Touriga Nacional, which we blend to produce our award-winning Estate Red Wines. Our estate reserve Claret, which is a Cabernet and Mourvedre blend, and our unique Sunset Dry Rose are also estate grown. Our southwest facing vineyard slopes are more condusive for growing red wine grapes. A vertical shoot positioning (vsp) trellis system was selected to provide maximum sun and spray penetration. By training our vines up to a four foot fruiting wire, we are able to utilize our exceptional mountain top air circulation. This aids us in combating the excess humidity we face in the southeast and helps to dry the vines after rainfall. 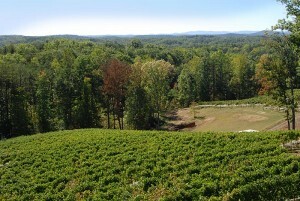 In Georgia, we usually receive excessive rainfall for fine wine grape production. 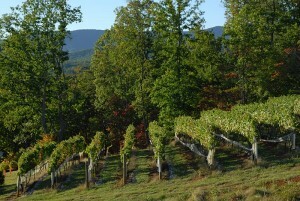 Our mountain top slopes offer the best drainage possible for the vineyard. There are no low-lying areas and excess rainfall is quickly diverted from the vines. Keeping crop yields low enables us to produce a limited number of elegant handcrafted wines for your enjoyment. This ensures that each cluster reaches the highest level in sweetness and flavor maturation.